Mike here to tell you all why Josh and I love the city of Columbus, and how this podcast got its start. 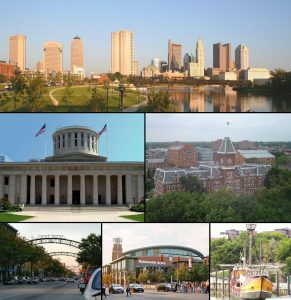 Columbus is an amazing city, and while there are many things that make it extraordinary, one reason stands out to us – The people that call this city home. From Ohio State University to downtown and the Short North, the city is full of diverse people and groups, all of whom make the city one of the best places to live in the world. Columbus is full of caring, inspired, and hard working people from diverse backgrounds and countries. The city is a true melting pot of ideas, dreams, and beliefs. Just like any city we have our problems, but we work through them together. We believe Columbus is on the right course, and if we continue to grow together, the sky is the limit for Columbus and its people. So why did we start this Podcast? It’s simple really. Josh and I saw all of the individuals working every day to make Columbus better, and we knew someone had to capture their story. We wanted to learn from everyone doing amazing work around Columbus – from business and athletics to science, medicine, social work, and beyond – and bring their ideas and dreams to others with the hope that we could make our city more connected then it has ever been. Our hope is that some day Conquering Columbus will be a place for anyone living in the city to come together, share ideas, and grow. If the podcast makes one connection that leads to a change for the better, then all the work we put into the podcast was worth it. We say “work,” but truly there is never a moment when we feel like we are working. Every day we get to talk to inspiring men and women that love Columbus just as much as we do, and dream of making it better. Above all else, we hope our listeners enjoy it. We hope you look forward to every episode – whether that is because you’re looking to learn something new, to be inspired, or just to laugh when Josh or I say something ridiculous. 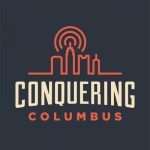 We want the people of Columbus to shape this podcast just as they shape the city. If you enjoy something in an episode, comment and tell us in the show notes! If you didn’t like something, be sure to comment as well so we can be better in the future. Above all else, be sure to comment and make fun of Josh a lot, he really loves that. Hopefully this blog gives you some insight into Conquering Columbus. If while you were reading this you thought of someone we should talk to, comment below and let us know! We are really grateful for all of our listeners, and we look forward to going along this journey with you – and learning something about ourselves along the way.